The DigiCore platform was launched at the Frankfurt Book Fair in 2012 and has come a very long way since then. The platform has been built in a modular manner using open source technologies that provide seamless integration with existing architecture. The openness of the framework allows customers to implement various combinations of DigiCore modules, depending on existing investments and system architecture. DigiCore helps streamline, automate, and optimize the publishing workflow. 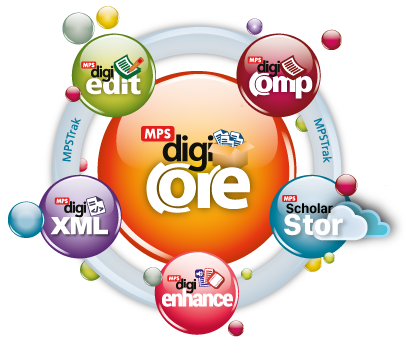 MPS leverages the DigiCore platform for our own internal Content Production processes.